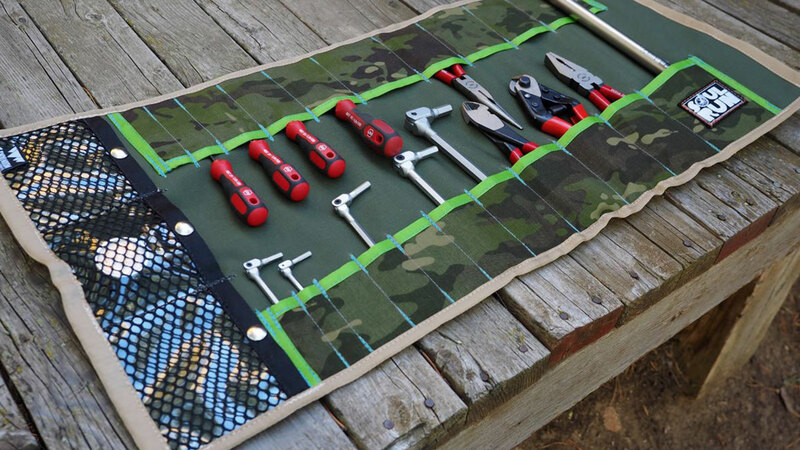 This is a handmade bike tool roll for carrying more than just the essentials for that road or trail side repair. 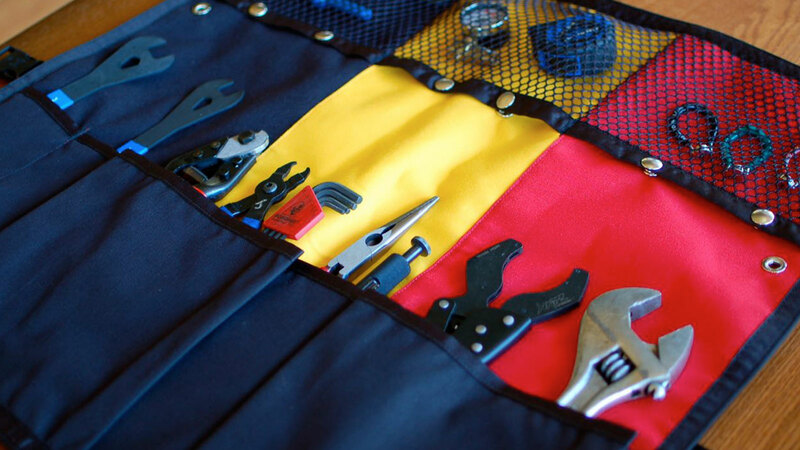 The wrench roll is a combination of our pro tool roll and mega tool roll. 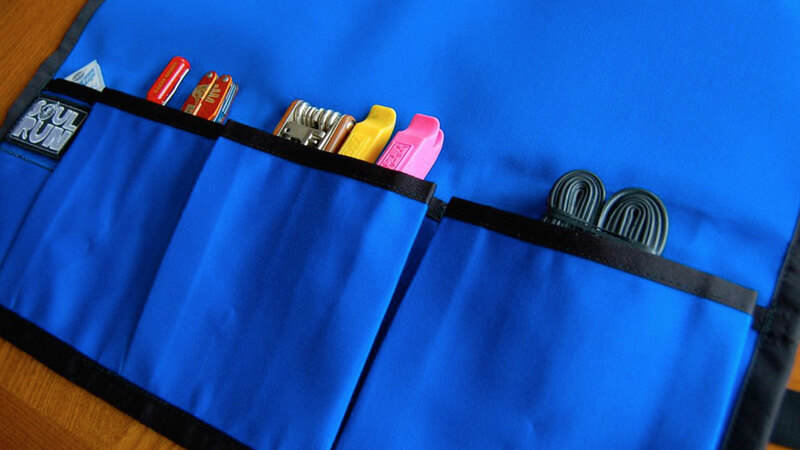 It is two inches taller than our mega tool roll and features three mesh pockets for smaller tools. Great for taking on road trips and races. 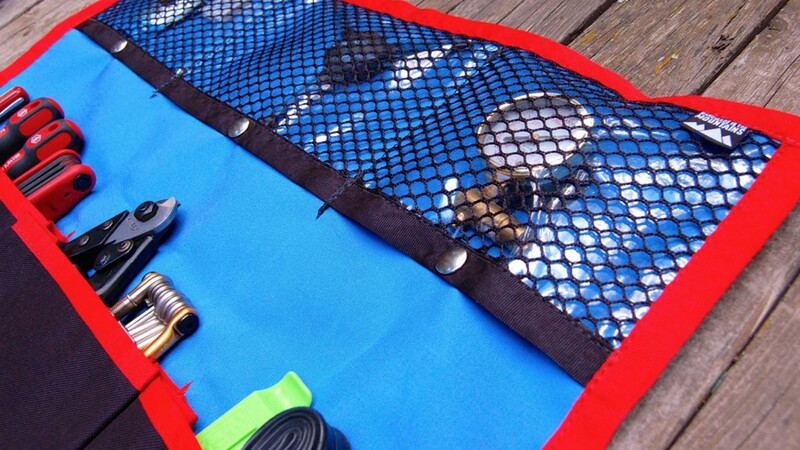 1 Large pocket for a road or mountain tube. Made out of sparkle upholstery vinyl which is a very tough and durable fabric. Lined with Cordura fabric a durable and water resistant fabric. It is flexible yet very tough. Nylon webbing with single quick release closure. 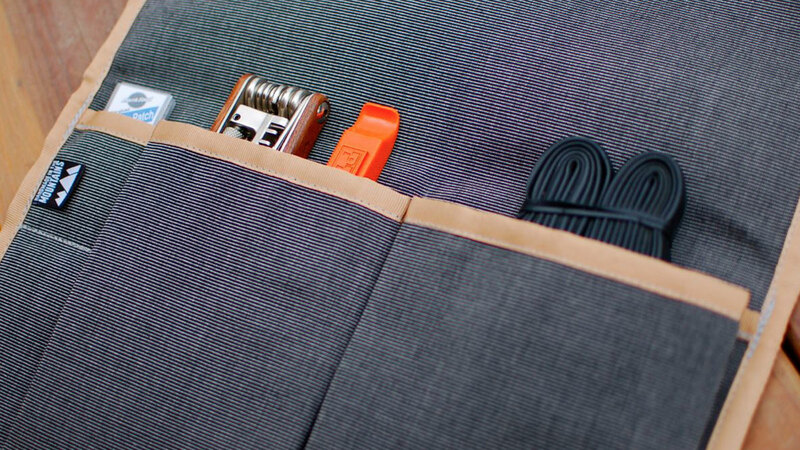 The Soulrun Wrench Tool Roll is currently available through our Etsy Store.